Lead is everywhere in our day-to-day lives, and it is extremely dangerous to us and our children. 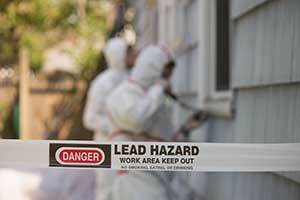 Lead is found in wall paint, furniture paint and stains, cosmetics, toys, jewelry, and even drinking water. Lead is used in the glazing process for ceramic dishes, bowls, pitchers, plates, and standard kitchen cutlery. Lead can leach into foods and drinks that are prepared, stored, or even served, with ceramics. Lead is toxic, affecting people of all ages. Lead is particularly deadly to children, and expecting mothers, putting them at risk of harmful health complications for life. Because lead is seemingly omniscient, and so dangerous, it is easy to feel helpless or powerless against the harmful effects of lead. Never fear: there are precautions you can take to minimize your exposure, and your families exposure, to the toxic effects of lead. Older homes in particular are likely to harbor lead in their paint, walls, carpets, flooring, and even dust. The older the home, the greater the risk. For instance, if your home was built in the 1960’s or 1970’s, your home has a 24% chance of being lead-ridden–whereas if your home was built in the 1940’s or earlier, your home has a 87% chance of being lead-ridden. If you feel your home is at risk of lead, find a certified renovator and lead-dust sampling technician firm near you to have your home’s lead threat professionally assessed. For your day-to-day, keep your children from touching/chewing on any worn areas of your home where lead-based paint has deteriorated. Remember: lead-based paint is still harmful if it has been painted over. Watch your windows, window sills, your banisters and railings, porches, doors, and door frames. Also, keep your home clean, as dust can carry lead when lead paint has been scraped, scratched, or scuffed. Because lead is naturally occurring, it often appears in soil. High-concentrations of lead in soil can often be attributed to lead-based exterior paints on homes, lead-based paints on children’s playsets, and runoff from industrial sites and leaded gasoline. Lead in soil can be both ingested and inhaled, as well as tracked into the home via dirty shoes. 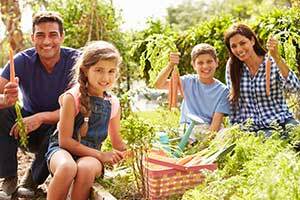 For your day-to-day, be sure to keep your children from putting dirty hands in their mouths, or ingesting any fruits and vegetables from a family garden without being washed. Also, be sure to keep dirty shoes on a mat on a porch outside in order to minimize the lead contaminants being tracked indoors. Make sure your children wash their hands, and take extra precautions around older playground equipment, artificial turfs, and shredded rubber. Drinking water is contaminated with lead through corrosion of pipes and kitchen fixtures. Some older homes may be comprised of only lead piping, while others may boast lead-free piping that is still 8% lead. The EPA has been proactive in minimizing metal corrosion and lead-leaching through their Safe Drinking Water Act. If you’re concerned about the quality of water coming to your home, you can access laboratory analysed samples of your drinking water from your state drinking water authority or local drinking water authority. For your day-to-day, avoid brass, copper, or chrome-plated brass faucets and avoid fixtures with a lead solder. Know your faucets and fixtures, and be sure to keep them maintained to prevent unnecessary corrosion. Be sure to research the cosmetics you use to see if you are at risk of lead through your makeup, especially lipsticks. Along with pet toys, children toys are often made with harmful lead-based paints or lead-based plastics. When your children and pets put their mouths on toys that contain lead, they are directly ingesting those harmful chemicals. Most popular, mass-produced, plastic food-containers are riddled with harmful chemical that can cause dramatic health complications. The Center for Disease Control has determined that a terrifying 93% of children, and 95% of adults, have been negatively affected by these chemicals due to the constant use of modern, plastic (and even ceramic) food-containers. Research has shown that lead in plastic food containers can actually seep into your foods and drinks due to exposure as well as leaching promoted via heat. For your day-to-day, use only non-plastic dishware. Choosing stainless steel dishware, like the nontoxic dishware Kangovou offers, ensures your family’s food is protected from unnecessary dramatic exposures to the harmful effects of lead.